Well hello everyone and a special welcome to my latest follower Julie, glad to have you aboard. For those of you living in East Anglia, you'll know that it was The Suffolk Show this week and for the first time ever, I was going to be there. 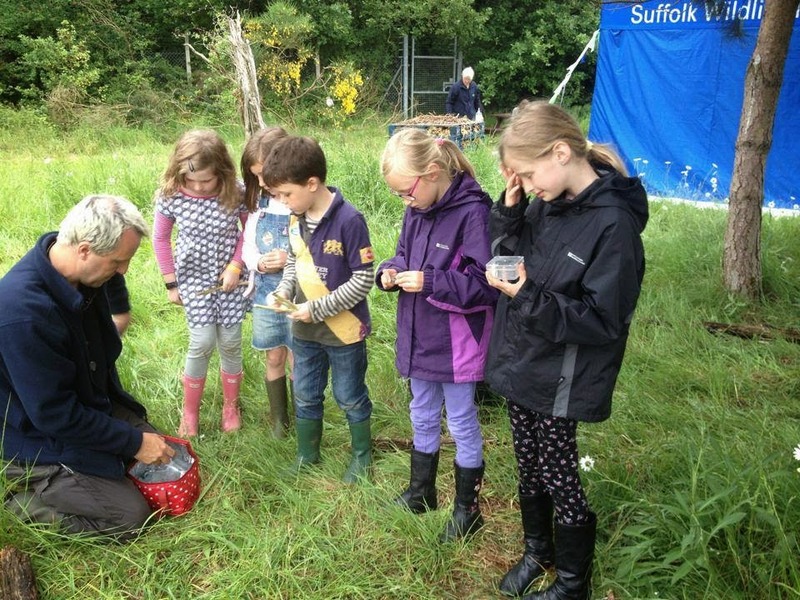 But not as a punter, no, this was with my voluntary work with Suffolk Wildlife Trust. SWT were running several activities throughout the two days and the staff and volunteers all helped pull it all together. 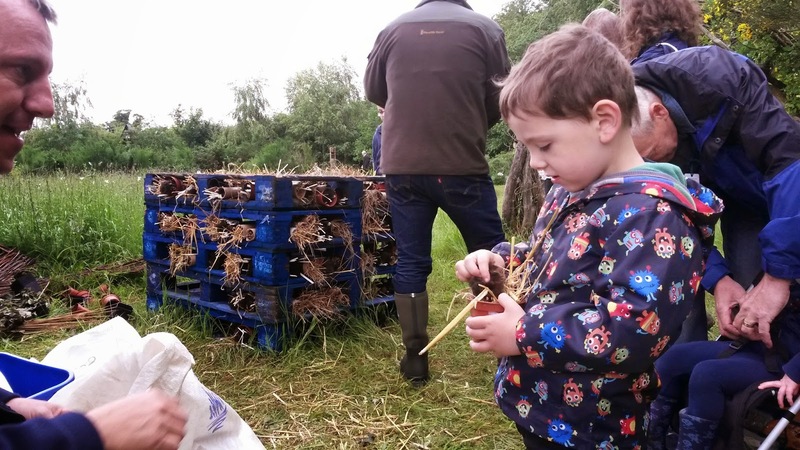 The activities being run in the wildlife area of the show ground at Trinity Park were pond dipping, hedgehog trail, bioblitz, moth trapping, whittling and building a large bug hotel. I was down to help with the bioblitz and bug hotel as well as running the moth trap in the evening and collecting the moths early in the morning. The weather wasn't grand on the day before the show and the rain fell heavily at times, my weather station recorded 30mm the night previously and by the end of Tuesday had recorded nearly 50mm in a 24 hour period. That's a lot of rain, but everything was set up and ready for the Wednesday and all we had to do was await the madding crowds. It's been a wet week to say the least. A total of 119.4mm of rain fell during May in Ipswich. Ox-eye daisies were in full bloom ready to greet the visitors. I set the moth trap up on the Tuesday night in the hope that I might catch something to show the people on the Wednesday, but as it had been raining most of the day Tuesday and was set to drizzle through the night, I wasn't very hopeful. However, all was not lost as at 5am on the Wednesday, I returned to open the trap to find what I had caught and it wasn't all bad news. There were a total of 6 moths Buff footman, Treble lines, Ermine (male & female), common swift and a small unidentified micro moth. Unfortunately, no hawkmoths to be seen. Thankfully, I don't live too far away from the show ground, so was able to nip back home for some breakfast before coming back for the start of the show at 8am. 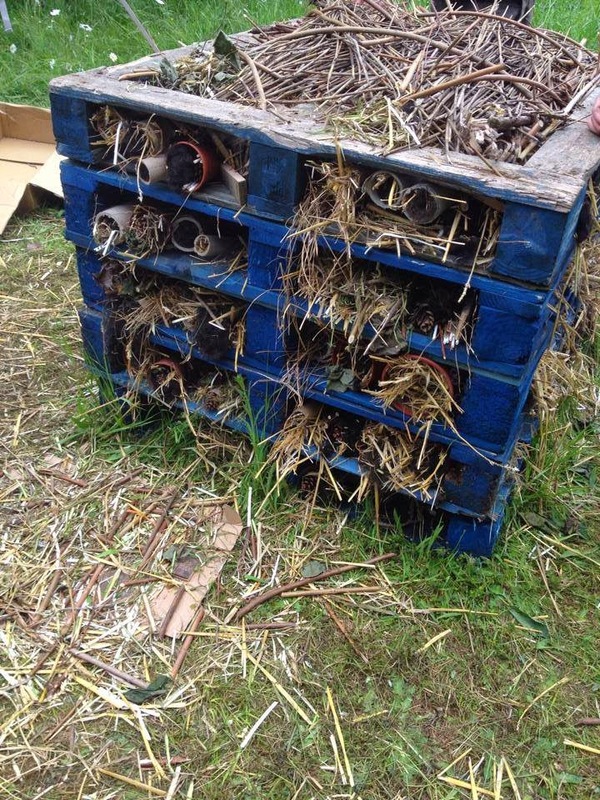 I was on the invertebrate section and along with helping kids ID what they had found on their mini-beast hunt, I was also helping them construct a large bug hotel with Wildlife Gadgetman, Jason Alexander. Here we had a pile of 5 pallets with the top one inverted. 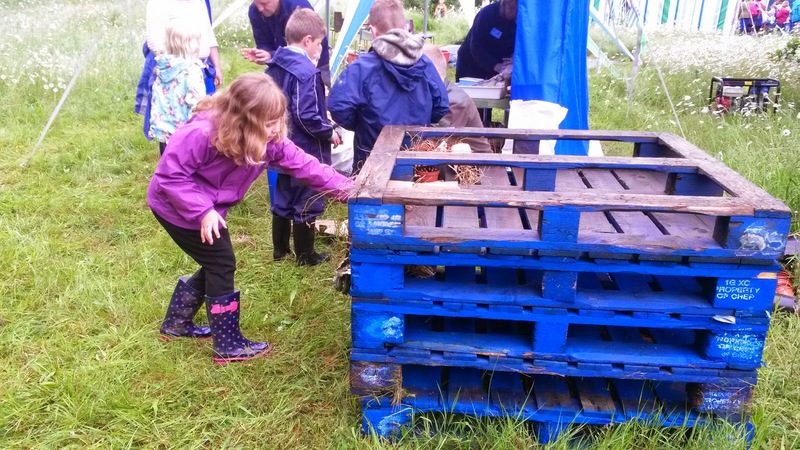 The kids were then shown how to stuff an old flower pot or toilet roll inner with some straw, sheep's wool, pine cones, etc and then place it somewhere within the pallet structure. These little bug homes would provide adequate shelter for a myriad of insects come the winter. Many kids loved the idea that they were creating these little hideaways for insects that they asked to make more than one pot/roll for the insects. Many adults too also liked the idea that something so simple and cheap could be created in their gardens or schools and was a great project for the children to make and get involved with. Those who went out into the field with a bug pot and sweep net brought back a lot of insects that had all the staff flicking through the ID books trying to give a name to the insect. The children's faces would light up when they found out that they had caught something new for the day which wasn't on the board. Yes, we were keeping track of everything that we found, saw or heard that day just so that we could show how biodiverse the site was. Outside the wildlife area at the entrance was our giant willow hedgehog that visitors got to add a willow spike to on the day. It was huge and come the end of the two days, looked super impressive. There was also a hedgehog trail for everyone to follow that lead people around the site with a little competition for the children asking them questions and getting them to look for clues, so it really was a learning experience throughout the whole area. After 2 full on hectic but enjoyable days, the show was over and we reflected on what a successful time it had been. I for one, really enjoyed myself showing the children different bugs, showing them how they will use the bug hotel and answering all their fascinating questions. It just shows that there really is a need to teach our youngsters more about our wonderful environment and how it can benefit not just them in future life, but the environment too. I'm sorry to have to say this, but alas Patty Blue is no more. It happened during the week when Patty was on the feeder with her young. Something spooked her and she turned and flew straight into a window. Thankfully, the young fledglings are pretty much feeding themselves now and there's still dad to look after them. That said however, yesterday I noticed one of the youngsters on the feeder all by itself, so she did well. Well, as I write this, I'm less than 12 hours from my interview live from Minsmere Springwatch camp on BBC Radio Suffolk. I'll be mainly talking about how everyone can do their springwatch bit by recording the wildlife they see or by taking part in surveys from stuff in your back garden to all sorts of stuff whilst you're out band about doing your day to day tasks. I'll be on somewhere between 7-8am and if you've arrived at this page after listening to my smooth voice on the radio (not), then please look to the right hand side and you will see some links under the 'Citizen science' headline. Clicking on these will take you direct to the relevant page. Sorry the blog is a bit short this week, but what with all the Suffolk Show going on, it's been a bit hectic to say the least. One thing I would like to say before I sign off, is a big thank you to Suffolk Wildlife Trust's Samantha Gay for allowing me to use her photos. Really appreciate it. I'll leave you with just one more image before I go of some of the children releasing the moths that had been trapped overnight at the show.